To demonstrate the conceptual frameworks; technical and practical expertise; critical and creative practices; responsiveness to historical, political, and sociocultural developments impacting art education; technological possibilities and proficiencies; and foundational understanding in the domains of art education, studio art, design and aesthetics, visual culture, and art history required to effective teach in and through the visual arts. To design coherent long-term and short-term curriculum in the visual arts that defines and measures student learning outcomes; corresponds to national standards; considers the preparation of instructional materials and spaces; outlines specific instructional procedures and organizational strategies; and demonstrates a meaningful understanding of lesson content, supporting resources, and the specific needs and interests of a diverse student population. To generate, integrate, and engage in research that informs individual instructional practice and contributes to the broader field of art education; to create reflexive practitioners capable of self-determining personal dispositions, professional positions, community participation, and sociocultural sensitivities, and as well as the consequences of action in regard to the equitable treatment of all learners and the relevancy of visual arts to describe and improve the human condition. Located in the heart of UNM’s central campus, historic Masley Hall (named after UNM Art Education founder Dr. Alexander Simeon Masley) is a 15,000 square foot learning space shared between Art Education, Pueblo Pottery, and the New Mexico Musical Heritage Project. 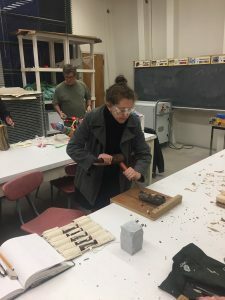 The building includes elementary and secondary methods classrooms, a ceramics studio, a printmaking studio, a fabrication lab, a photography suite, conference and seminar rooms, and the Masley Art Gallery. Masley Art Gallery exhibits UNM student-created artwork, regional work from preK-12 teachers and students, and other curated and travelling exhibitions. 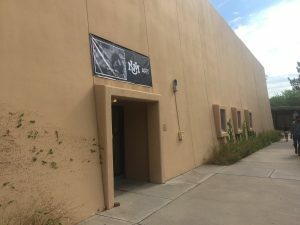 UNM’s Art Education Graduate Student Association (AEGSA) is a registered student organization that has been active within the Art Education Program since 2000. AEGSA represents, supports, and advocates for the UNM Art Education Program and its students. The AEGSA group under graduate student leadership regularly partners with the region’s extended community of teachers, schools, museums, community organizations, and others. 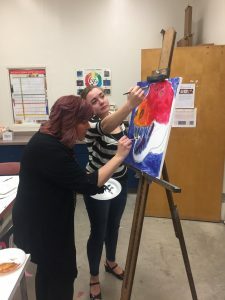 UNM’s Student Chapter of the National Art Education Association is the university-level affiliate of the National Art Education Association (NAEA) and the New Mexico Art Education Association (NMAEA). The student chapter under undergraduate student leadership concentrates on community building and connecting UNM art education students to professional resources and networks at the local, regional, and national level. The student chapter also coordinates with the AEGSA group to sponsor monthly events including speakers, site visits, gallery crawls, and creative workshops.